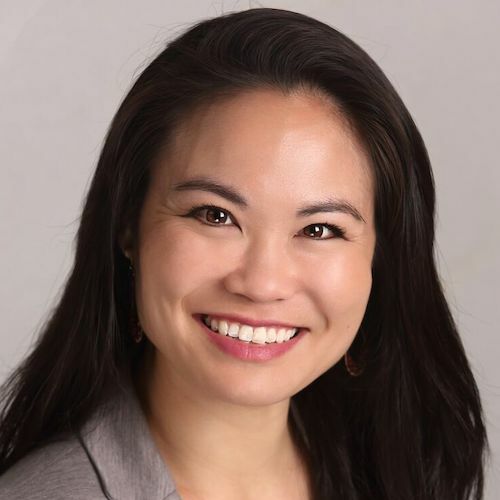 Ashley Uyeshiro Simon is the Course Coordinator and a professor for OT 100 THRIVE: Foundations of Well-Being, a course designed for students, by students, to promote well-being and mental health among undergraduates. She also teaches OT 101 Caring for Your Self, a course dedicated to learning about self-care and behavior change through personal application to daily life. For seven years, Dr. Uyeshiro Simon previously worked at the USC OT Faculty Practice where she applied Lifestyle Redesign® for clients with behavioral health difficulties, chronic pain, chronic headaches, Multiple Sclerosis, and Parkinson’s Disease. She is a National MS Society Partner in MS Care, and is a Multiple Sclerosis Certified Specialist. Dr. Uyeshiro Simon received her Doctorate of Occupational Therapy (OTD) degree in 2011, her MA degree in Occupational Therapy, and her BA degree in Psychology from the University of Southern California. She is the Faculty in Residence at Birnkrant Residential College through the Office of Residential Education, and also serves as the Secretary General for the USC Academic Senate. Background. Bladder symptoms are reported by 80% of individuals with multiple sclerosis (MS), and approximately 50% of the MS population report bowel symptoms. Evidence demonstrates a significant correlation between urinary symptoms and longer disease duration, increased physical disability, and reduced quality of life. Bowel dysfunction can lead to decreased quality of life and social isolation. Evidence has shown that early recognition and treatment of bowel and bladder dysfunction may reduce the severity of symptom progression and improve health-related quality of life. Occupational therapists (OTs) address toileting and toileting hygiene in clinical treatment as a component of a person’s activities of daily living (ADLs). This includes positioning, care for continence needs, completion of intentional control of urination and bowel movements, and use of equipment/agents for bladder control. OT interventions that can be used to address this ADL include adaptive equipment training, pelvic floor training, relaxation techniques, bladder retraining, habit and routine management, and positioning. Objectives. Describe OT intervention strategies for management of bowel and bladder dysfunction in patients with MS and provide a descriptive case study with clinical outcomes to demonstrate how some of these strategies can be applied clinically. Methods. The case study subject has participated in 14 OT sessions with expected discharge in the next month. Patient’s bladder symptom management is one priority of the plan of care. The Canadian Occupational Performance Measure (COPM), Multiple Sclerosis Quality of Life Inventory (MSQLI), and RAND Short Form-36 (RAND SF-36) are the outcome measures used at pre- and post-intervention. Results. Pre-intervention outcome data include the following: COPM overall performance score 5.4 and overall satisfaction score 4.4; RAND SF-36 sub-scores physical function 5, energy/fatigue 10, emotional well-being 76, social function 38, general health 20; and MSQLI scales MFIS 17, PDQ 5, BLCS 5, and BWCS 0. Postintervention outcome measures will be collected upon reassessment and discharge from OT services and reported at the conference. Conclusions. This case study highlights the strategies OTs can use to address management of bladder and bowel dysfunction for individuals with MS, and it demonstrates the benefits of OT interventions in improving engagement in toileting and toileting hygiene ADL routines. Objectives. According to the Centers for Disease Control, an estimated 2.5 million people in the United States sustain a traumatic brain injury (TBI) annually, and about 75% are classified as concussions or other forms of mild TBI. An estimated 15–30% of people who have a concussion may develop post-concussion syndrome (PCS), which is characterized by the persistence of symptoms including headaches, dizziness, fatigue, irritability, insomnia, concentration or memory difficulty, and increased risk for depression. Treatment of PCS focuses on gradual activity reintegration, functional rehabilitation, and learning how to cope, manage and prevent symptom onset. Evidence demonstrates that patient education, compensatory cognitive strategies, graded physical activity, and mental health interventions can improve symptoms of PCS and related headaches. Occupational therapists (OTs) are typically involved in acute concussion treatment for physical and cognitive rehabilitation, but OTs can also provide lifestyle and behavioral treatment for management and rehabilitation of PCS with headache (PCSH). To demonstrate the methodology and efficacy of lifestyle behavioral OT for managing PCSH, clinical outcomes for a group of patients with PCSH who attended individual outpatient OT treatment is presented. Methods. Lifestyle Redesign® is a module-based behavioral OT technique that facilitates the development of health-promoting habits and routines, and has been shown to improve health management and slow disease progression. LR OT treatment for PCSH focuses on helping patients understand the disease process, gradually reintegrate into functional daily activities, and manage persistent symptoms through active participation in self-management habits. Treatment topics can include eating routines, activity pacing, energy management, body mechanics, sleep hygiene and positioning, physical activity, stress and depression management, and community/work reintegration. Clinical outcome data for a small sample of patients with PCSH receiving LR OT outpatient clinic-based treatment as part of their typical plan of neurological care were collected to determine efficacy of treatment. Inclusion criteria was diagnosis of PCSH, and attendance of 3 or more sessions of OT. Outcome measures were completed at initial evaluation and discharge, and included the SF-36 Quality of Life Scale, Canadian Occupational Performance Measure (COPM), Headache Impact Test-6 (HIT-6), Headache Management Self-Efficacy Scale (HMSE), Migraine Specific Quality of Life Questionnaire (MSQL), and Migraine Disability Assessment Questionnaire (MIDAS). Results. Seven patients’ clinical outcomes were collected (two male, five female). The average age of the patients was 36 years, and the average number of OT sessions had between evaluation and discharge was 7.14. On average, patients demonstrated improvements in almost all outcome measures, with the most substantial gains noted in certain SF-36 subscales (role limitations due to physical or emotional problems, energy and fatigue, social function), COPM Performance and Satisfaction scores, HMSE score, and MIDAS number of headache days. Conclusion. These clinical case studies contribute to the evidence that lifestyle and behavioral OT treatment can be used to successfully help patients with PCSH improve their self-management abilities, symptoms, quality of life, and function. More research with a larger sample size of patients is needed to further investigate the significance to which lifestyle and behavioral OT can improve PCSH. Objectives. Fibromyalgia is a chronic condition affecting more than 5 million Americans. It affects a person’s ability to engage in activities of daily living (ADL) and current treatment approaches include both pharmacological and non-pharmacological therapies. Occupational therapists (OTs) are qualified providers to treat patients with fibromyalgia, yet there is a lack of research available. OTs help people manage pain by identifying activities or behaviors that aggravate pain, teaching methods to limit the frequency or duration of painful episodes, and facilitating increased engagement and independence for ADLs at home, work or in the community. Lifestyle Redesign® (LRD) is an evidence- based, OT behavioral approach which promotes the development of health promoting habits and routines for improved health management and disease prevention. This presentation aims to educate providers and patients about OT as an available treatment option for this population and presents on the development and outcomes of a 10-week Lifestyle Redesign® group treatment pilot program that was developed at the USC Occupational Therapy Faculty Practice. Methods. This retrospective study collected and assessed outcome data of patients (n = 7) who entered the outpatient OT treatment group as part of their usual plan of care. Results. The clinical outcomes of this pilot program are currently being analyzed and will available at the time of the presentation. Conclusion. Patients with fibromyalgia should be referred to OT if they are having difficulty managing their symptoms and it is interfering with their functional engagement in activities of daily living. Objectives. Complex Regional Pain Syndrome (CRPS) is a neuropathic condition that can cause extreme pain, have a significant impact on function, and has the potential to become chronic. Occupational therapy (OT) helps individuals increase participation and function through the use of everyday activities, and uses those activities as both a means and an end to treatment goals. Lifestyle Redesign® is a behavioral occupational therapy technique that aims to modify a person’s daily habits and routines in order to manage a chronic condition, and has been shown to improve quality of life and slow disease progression. The purpose of this report is to demonstrate the efficacy of Lifestyle Redesign® occupational therapy in CRPS pain management, using a clinical case study of a 53 year-old male patient with chronic CRPS Type I in bilateral hands. Methods. As this was a clinical case study, the treatment administered followed a typical clinical plan of care based on the patient’s evaluation, and did not contain any treatment modifications for research purposes. Results. The patient was seen for 12 visits over 8 months, and demonstrated clinical improvements shown in Table 1. Outcomes used included the RAND SF-36 Health Survey, Canadian Occupational Performance Measure (COPM), Brief Pain Inventory (BPI), and Pain Self-Efficacy Questionnaire (PSEQ). Conclusion. This case study illustrates how OT can significantly improve a patient’s quality of life and pain self-management skills, in order to improve function and decrease pain. More rigorous research about the efficacy of Lifestyle Redesign® OT in treating CRPS is needed to enhance evidence-based practice. Objectives. Severe headache and migraine pain affect as much as 15% of Americans, according to the American Academy of Pain Medicine. Primary care physicians, neurologists, physical therapists, and psychologists are well-known members of a multidisciplinary pain program, but occupational therapy (OT) for headache management has not been well researched. OTs can offer a vital perspective on behavioral, emotional, and nonpharmacological headache treatment approaches. The aim of this study is to explain the role that OT can play in effective headache treatment among a multidisciplinary team, and present the outcomes of a program development study for quality improvement. Methods. This study collected and assessed clinical outcome data of patients who entered an outpatient OT program for chronic headaches at the USC Occupational Therapy Faculty Practice, many of which were referred by other disciplines of the USC Multidisciplinary Headache Team. OTs used a Lifestyle Redesign® approach which facilitates the development of health-promoting habits and routines for improved health management and disease prevention. Patients met with OTs once every 1–2 weeks and completed outcome measures at admission, 8th session, and at discharge. Results. Preliminary results indicate patients receiving OT for headache management for four or more sessions (n = 129) demonstrated increases in self-management skills, physical abilities, emotional functioning, and overall quality of life and decreases in average pain levels and functional impact on activities of daily living. Conclusion. The results of this study strongly suggest that an OT lifestyle and behavioral modification program for chronic headaches and migraines is an effective treatment. Background. Occupational therapists (OTs) offer a vital perspective on behavioral, emotional, and other non-pharmacological headache treatment approaches to improve patient self-management of headaches, yet OTs’ involvement in comprehensive headache care is relatively infrequent. The aim of this study is to explain the role of OT in headache treatment, and present the outcomes of a program development study. Methods. This was a retrospective program development and quality improvement study that collected and assessed clinical outcome data of patients who entered an outpatient OT program for headaches. An OT lifestyle modification approach was used, which has been shown to develop health-promoting habits and routines for improved health management and disease prevention. Patients were referred to OT by primary care physicians, neurologists and pain specialists. Patients were pursuing usual courses of treatment, and there were no clinical interventions administered that differed from regular care. Participants completed outcome measures at admission, 8th session, and at discharge. Results. The clinical outcomes of this quality improvement study are currently being entered and analyzed and will be available for the conference. Conclusion. OTs can provide vital treatment for patients with headache disorders, helping them to improve self-management of headaches by using lifestyle modifications. More neurology, primary care, pain specialists, and headache care teams should consider occupational therapy as a part of the regular plan of care for patients with headaches.